Live chat is a great feature to add to your site if you are looking to add another customer support channel. 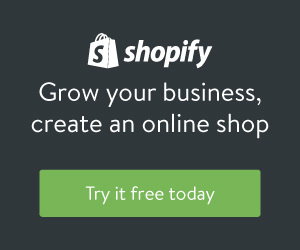 Live chat is also a great pre-sales tool to include on your site if you sell complex products or solutions. For example for many SaaS products I look at, I find that they look promising but I usually have questions on integration, installation or other technical aspects of the solution. One of the easiest products I found for live chat is Olark. They have an easy to use interface and also allow you to use several different programs for chatting, think Google Chat or iChat. 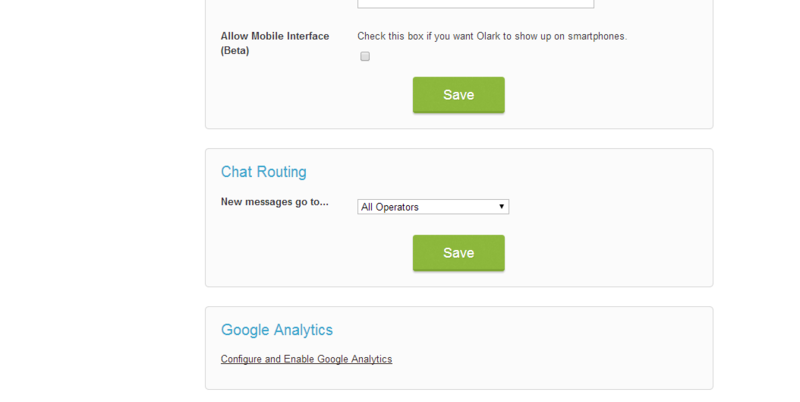 Once you have Olark setup and installed on your site you can also configure it to track chat events inside Google Analytics. Log into Olark and select the settings menu. Scroll all the way to bottom of the Advanced settings and you will see the Google Analytics section. Click on Configure and Enable Google Analytics. 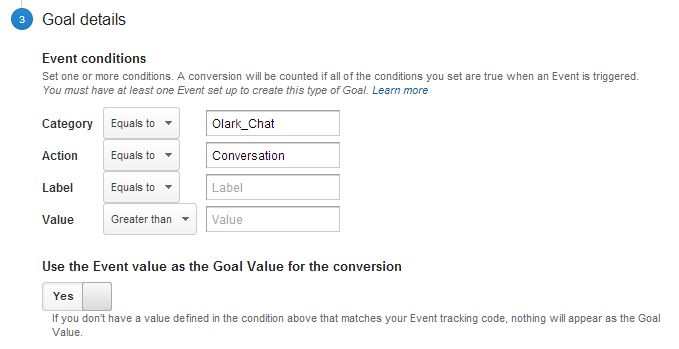 To stat tracking Olark events all you will need to do is make sure that the Track Olark Events in Google Analytics check box is selected. Olark will automatically detect your Google Analytics ID so you do not need to worry about any advanced configuration. With the Olark configuration done now you will begin to see the Olark events in Google Analytics. Log into Analytics and drill into the Events reports, Behavior -> Events. Each of these actions tells you what specific action took place in Olark. For example Visitor_Sent_a_Message simply means that a visitor to the site sent a message to the chat operator using Olark. The one that you will want to most likely use in the Conversation action, which means the visitor to your site had a conversation with a chat operator. As you will see you can actually drill in one level deeper and see who the conversation was with but more on that later. To setup a goal to with these events we are going to go to the Admin section of Google Analytics and then select the Goals under the View column. To start select the custom option in step 1 (Goal Setup). The first goal that we are going to setup is a conversation so we can track every time a conversation takes places on the site as a goal conversation. Name your goal whatever makes sense for you, sometime like Live Chat Conversation. For type select Event. 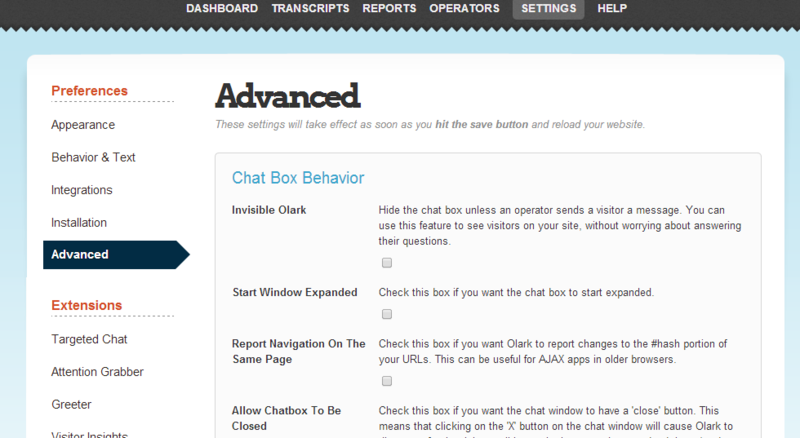 Use Olark_Chat as the Category and Conversation as the action. That’s it, you can now track and analyze live chat conversations in Google Analytics. You can now use any of the regular reports in Google Analytics and look at how many live chats are the result of that channel. If you want to go one step further you can create separate goals for each of your operators. In this scenario you would have the “top level” goal of the conversation and then have separate goals for each of your chat operators. To do this you would have the same Category and Action as above but you would add in the Label Visitor_initiated_with_OPERATORNAME. Just chage OPERATORNAME with the names of your chat operators. Another goal that I add to Google Analytics is tracking when a user sends an offline message. This occurs when you have Olark set to be displayed even when an operator isn’t avaialble to chat. This basically creates another contact form on the site. To set this goal up you will want to set the Category to Olark_Chat and Action to Visitor_Sent_an_Offline_Message. So now that this data is live what can you do with it? This is the most obvious use case. In this scenario you are simply counting conversations as conversions so you can see how many you are receiving from organic search, paid search, social etc. If you aren’t tracking these as conversions but they are just as useful to you as someone filling out your contact form then you are not getting the complete picture. Using the Events reports in Google Analytics you can see exactly what page users are starting chats on. You can take your chat data and improve the page to reduce the need for live chat. If you find that 60% of your chats come from one page and you realize that most visitors are asking one or two specific questions you can make changes to your page to add the missing information. You can also do this at a site category level. For example if you can see if most of your chats come from the products section of your site or your customer service section. You can use the Visitor_Sent_an_Offline_Message and then add in the Hour as the secondary dimension to see what times of the day visitors are sending messages when a chat operator isn’t available. You would need to pair this data with your sales data to see if this makes sense but there could be an opportunity to increase sales by simply adding an extra hour onto your live chat availability.